It was so popular in colonial times that bohea became the common word for tea. 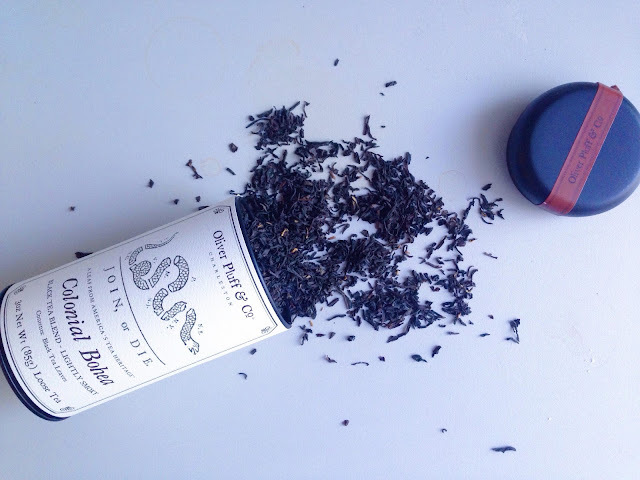 It was imported in larger quantities than all other teas combined, and it was the majority of tea destroyed during tea tax protests in revolutionary America. The dry leaves are dark, twisty and have a slightly ashen color. These leaves are super smoky, as if they've been hanging out around the campfire for a few hours. The aroma actually brings back memories of visiting a historic colonial house near where I grew up. It always had a smoky aroma, possibly from the kitchen cooking fires. I always imagine the pleasant smoky smell when I remember visiting that colonial house. This could be why I always imagined early American teas to have a smoky flavor. Of course, other colonial teas did not contain this flavor, but let's focus on today's tea! The brewed tea is malty, with notes of dark fruits and, of course smoke. I think the maltiness tempers the smoke a little bit, making it smoother to drink. I enjoy a bit of smoky flavor in my tea, especially at breakfast. I'm not really sure why, but that's when I crave this flavor the most. This tea would work very well with a little milk and sweetener as it would tame the bold flavors. I tend to like black teas stronger than the seller suggests. With this tea, I added a little over a teaspoon per cup and found it to work well for my palate. I enjoyed this tea, and could see myself reaching for it in the morning or early afternoon. Or any time I'm cracking open an American history book! I also have to point out that the Oliver Pluff & Co. graphics are great. The bohea tea tin has a political cartoon by Ben Franklin on the front. I think the use of historic imagery on the packaging is perfect for the teas inside. I also like they they are monochrome drawings, which help them stand out and gives the whole experience an antique feel. I enjoy the flavor and history behind this tea and can't wait to try the others that I have. 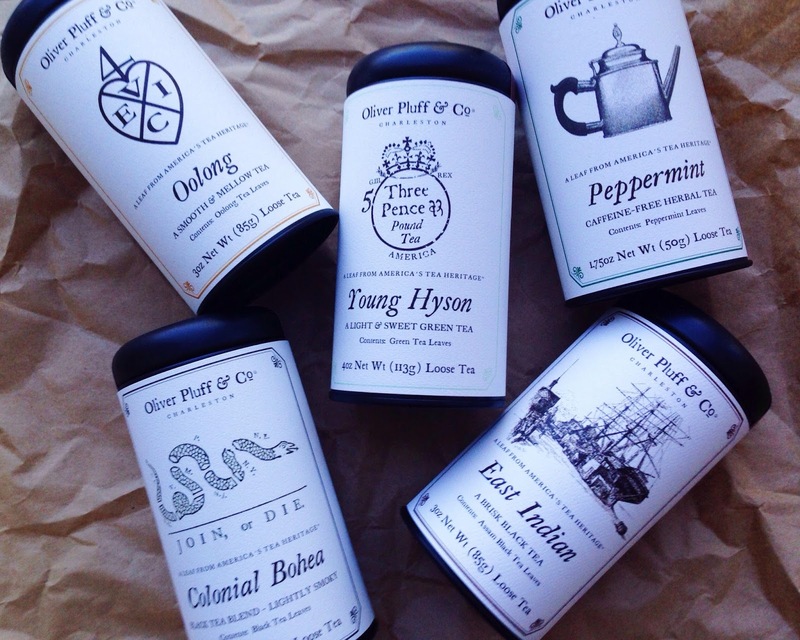 Thank you to Kyle of Oliver Pluff & Co for the tea! Stay tuned for reviews of their other teas in the coming weeks. To see my other posts about colonial American teas, check out the links here, and here.